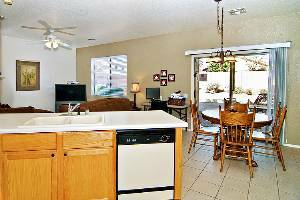 3 large bedrooms, private heated pebble-tec pool, private spa, 3 TV's including a 48" flatscreen in the family room, hi speed wireless modem, huge patio to soak up the sun. 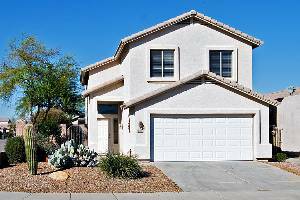 Enjoy all sunny Arizona has to offer in this 3 bedroom, 2.5 bath Ahwatukee vacation home. 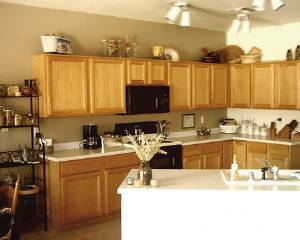 This fully furnished two-story property offers a spacious floor plan and can sleep 6-8 guests. An open kitchen, family room and living room combine to provide you plenty of room to relax. 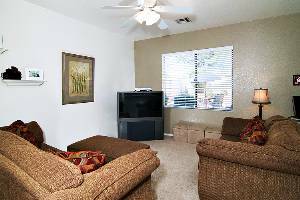 With upgraded carpet, tile and comfortable decor you will feel at home away from home. Outside, you can lounge around in the HEATED lagoon-style pool or lay out on the patio in the oversized desert-landscaped private backyard. During the winter months, enjoy the cool evenings in the 7 person hot tub next to the pool. 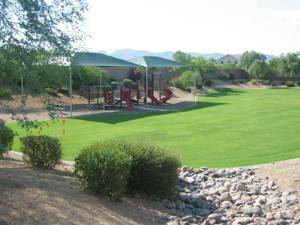 South mountain trails and shopping at Chandler Fashion Center & Arizona Mills are minutes away. If it's golf you love then this is the place for you. 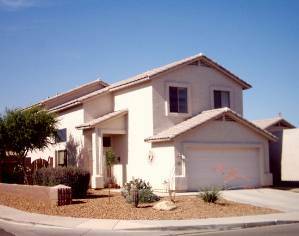 This Phoenix Vacation Rental is located within minutes from several top golf courses including The Foothills, Club West, Ocotillo and more. 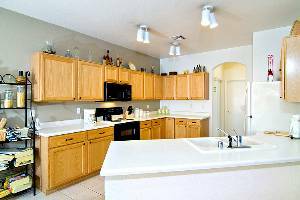 This Phoenix vacation rental home has 3 televisions with one DVD player and one VCR player for your enjoyment. Vacation rental includes High Speed internet with new Dell Desktop computer and wireless capabilities. "A new generation of British pioneers. " "Phoenix is not an obvious vacation destination for us Brits. In fact when we told our friends where we were off to their reactions ranged from surprised to thinking we were frankly eccentric. However, Phoenix in general and this house in Ahwatukee in particular made for a great family vacation. The house is light and airy,decorated and furnished in a neutral, comfortable fashion which whilst it is smart and clean does not put you on edge about what damage the children might cause during the course of a normal family holiday! 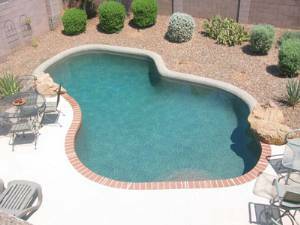 A big attraction for us is the Arizona weather and this house and its pool and yard is just perfect for making the most of the sun and heat. Eating your breakfast by the pool in April, when you know back home they are dodging rain showers and even snow, makes for a very satisfying experience!! This property really "ticked all the boxes" for our family. We had a great vacation."